David Gómez-Casco was born in Barberà del Vallès, Spain, in 1991. He received the B.Sc. and M.Sc in telecommunication engineering in 2012 and 2014, respectively, from Universitat Autònoma de Barcelona (UAB). 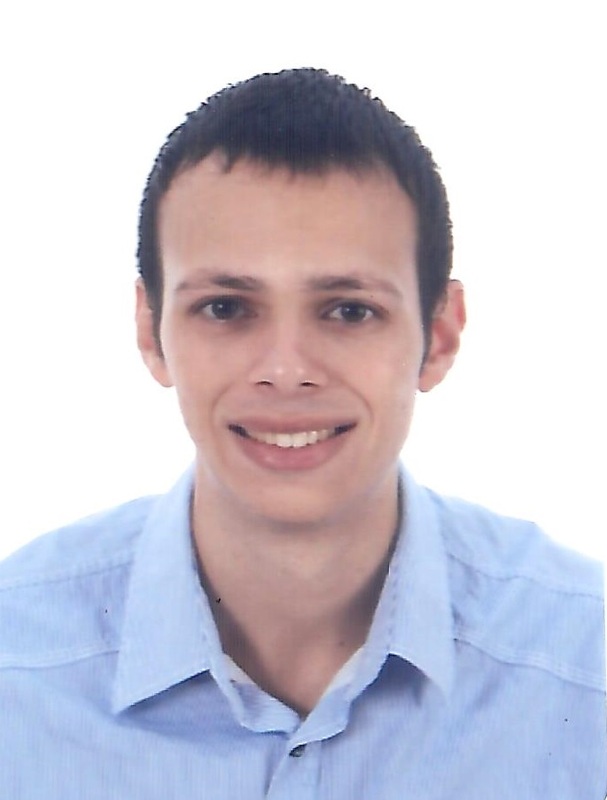 In December 2014 he started the PhD studies at the SPCOMNAV group. Since that date, he is also involved in the HISENS project funded by the European Space Agency (ESA), which deals with new techniques of signal acquisition for GNSS receivers in conditions of weak signal reception. On November 29, 2018, he completed his PhD entitled "Non-coherent acquisition techniques for high-sensitivity GNSS receivers" at the SPCOMNAV group. His research interests focus on statistical signal processing for communications and navigation. D. Gomez-Casco, J. A. Lopez-Salcedo, G. Seco-Granados, "Statistical Characterization of the Optimal Detector for a Signal with Time-Varying Phase Based on the Edgeworth Series", Proc. IEEE Statistical Signal Processing Workshop (SSP), Jun 2018, [link]. D. Gomez-Casco, J. A. Lopez-Salcedo, G. Seco-Granados, "Optimal Fractional Non-Coherent Detector for High-Sensitivity GNSS Receivers Robust against Residual Frequency Offset and Unknown Bits", Proc. IEEE Workshop on Positioning, Navigation and Communications (WPNC), Oct 25 2017, [link]. S. Locubiche, D. Gomez-Casco, A. Gusi, J. A. Lopez-Salcedo, G. Seco-Granados, J. A. Garcia-Molina, "Positioning Performance Analysis of High-Order BOC Signals in Advanced Multi-constellation High-Sensitivity GNSS Receivers", Proc. 6th International Colloquium on Scientific and Fundamental Aspects of GNSS / Galileo, Oct 2017, [link]. D. Gomez-Casco, E. S. Lohan, J. A. Lopez-Salcedo, G. Seco-Granados, "Multilag Frequency Estimation for High-Order BOC Signals in the Acquisition Stage", Proc. 8th ESA Workshop on Satellite Navigation User Equipment Technologies (NAVITEC), Dec 15 2016, [link]. E. Domínguez, A. Pousinho, P. Boto, D. Gomez-Casco, S. Locubiche, G. Seco-Granados, J. A. Lopez-Salcedo, H. Fragner, F. Zangerl, O. Peña, D. Jimenez-Baños, "Performance Evaluation of High Sensitivity GNSS Techniques in Indoor, Urban and Space Environments", Proc. ION GNSS+, Sep 12 2016, [link]. D. Gomez-Casco, J. A. Garcia-Molina, A. Gusi-Amigo, M. Crisci, J. A. Lopez-Salcedo, G. Seco-Granados, "Mitigation of False Locks in the Acquisition of High-Order BOC Signals in HS-GNSS Receivers", Proc. International Conference on Localization and GNSS (ICL-GNSS), Jun 28 2016, [link]. D. Gomez-Casco, J. A. Lopez-Salcedo, G. Seco-Granados, "Generalized Integration Techniques for High-Sensitivity GNSS Receivers Affected by Oscillator Phase Noise", Proc. IEEE Statistical Signal Processing Workshop (SSP), Jun 27 2016, [link].